In 2013, a young woman named Abigail Fischer sued the University of Texas after claiming she was denied admission to the school in 2008 because she was white. Fischer sought to challenge the school’s “race-conscious” admissions program, commonly referred to as affirmative action. Her case went all the way to the Supreme Court. On Thursday the court ruled the school’s program is lawful under the Equal Protection Clause. “Considerable deference is owed to a university in defining those intangible characteristics, like student body diversity, that are central to its identity and educational mission,” wrote Justice Anthony Kennedy for the majority opinion. 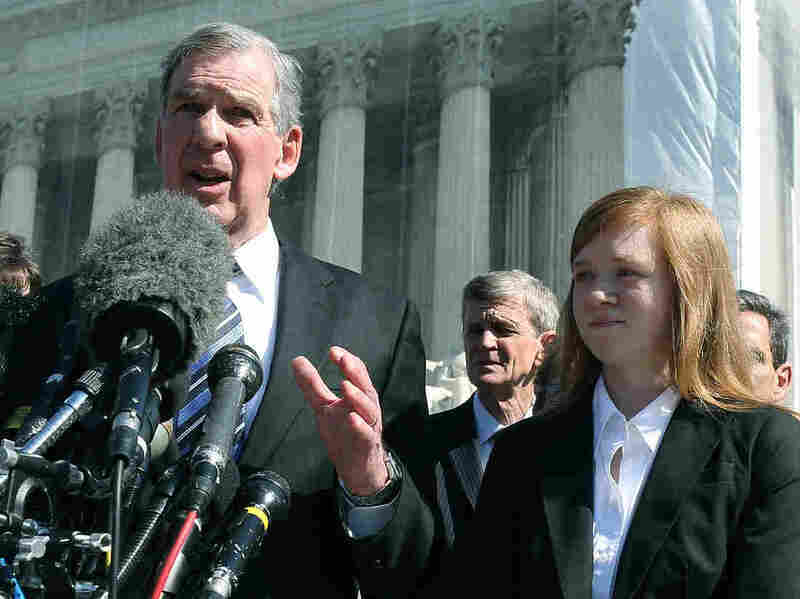 Fischer’s case marks the most recent challenge to affirmative action, which was upheld in 1978 and 2003. Before Fischer’s case, the court ruled that colleges and universities could consider race and ethnicity as a factor in admissions, as long as they didn’t adopt quotas. Some are calling the ruling a victory, but warn that this probably isn’t the last case of its kind. Others satirized Fisher’s complaint (the 2013 hashtag #staymadabby transformed — post-Lemonade — to #beckywiththebadgrades). Others drew attention to the age-old question of who affirmative action really benefits — and who doesn’t. Here’s a round up of reactions to the Supreme Court ruling. In general, women today are more educated and make up more of the workforce than ever before, in part because of affirmative action policies. Indeed, from the tech industry to publishing, diversity has emerged as an overwhelming increase in the presence of white women, not necessarily people of color. Incidentally, over the years white women have become some of affirmative action’s most ardent opponents. According to the 2014 Cooperative Congressional Election Study, nearly 70 percent of the 20,694 self-identified non-Hispanic white women surveyed either somewhat or strongly opposed affirmative action. Truth is, in terms of their economic status and academic accomplishments, Asians have already mostly drawn even with white people, even surpassed them. As a minority that takes seriously education and hard work, Asians have improved their lives immensely since coming to America just generations ago, and Asian students have quickly stood out. America, a society still led by white people, has started to call Asians a “model minority,” who have already realized “quasi-whiteness” in their economic and intellectual lives. This is meant as praise, however it means that Asians must pay a price at the school gates. Asian students were once a class protected under affirmative action, along with African-Americans and other minorities. But because Asian students have performed better and better, with higher and higher grades, they’ve opened light-years’ worth of distance between themselves and other racial minorities. Currently, the overwhelming majority of Texans admitted into UT-Austin get in because of the policy. The rule was designed to promote diversity at the state’s top universities. Texas public schools are largely segregated, so promising admission to the same amount of students from minority-dominated schools and white schools — regardless of standardized test scores — in theory helps minorities. Meanwhile, even as more black and Hispanic students are enrolling in college, they aren’t necessarily making it into top-tier universities. According to The Atlantic, the black undergraduate population at these universities has stagnated at an average of six percent for the past 20 years. Faculty diversity isn’t looking too great either, reminding us that this week’s Supreme Court decision doesn’t fix the problems affirmative action was designed to alleviate — it just returns us to status quo.